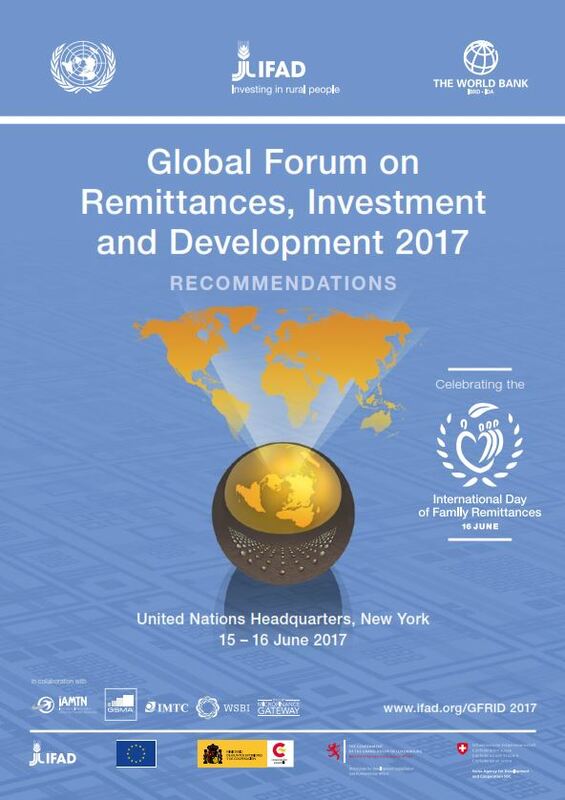 On 15 and 16 June 2017, on the occasion of the International Day of Family Remittances, over 350 practitioners from the public and private sectors gathered at the United Nations headquarters in New York for the fifth Global Forum on Remittances, Investment and Development (GFRID). The participants had the opportunity to discuss challenges and opportunities in the remittance market, and present innovative approaches and successful business models, framing the discussions around the role of migrants’ remittances and investment towards achieving the Sustainable Development Goals (SGDs) by 2030. These Forum recommendations were developed through the feedback of panellists and the contribution of the stakeholders at the Forum. They are presented in their draft form in this pamphlet and will be shared with GFRID participants and the Member States consultative group.